There are a million and one brands out there that are selling the same products. If your business has more clones than an episode of Orphan Black, what is going to set you apart? Your brand voice. You have enough opportunity to deliver a strong brand voice across multiple channels. For example in web copy, ads, email subject lines, and of course, social media posts. To differentiate your B2B brand from others on such platforms, you need to have an authentic and distinctive brand voice. Consumers want brands to possess human traits. They insist your brand possesses a personality. Brand voice is how you re-establish the connection with your audience that is often lacking in advertising and marketing. Admittedly, this can be much more difficult for B2B companies than B2C companies. Well, I’m about to show you that you can establish an interesting brand voice, even in the B2B sphere. People want to know how your brand can help their business. Not that your product has a long list of capabilities that they may not need or understand. “Our cream contains floopety-goop essence to fight wrinkles”. In fact, 88% of B2B buyers say that they want content creators to focus less on product specifics and more on its inherent value. Thus, it pays to recognize your demographics and their particular pain points. Your brand voice should be one that your audience can relate to, after all. Australian financial management company MYOB has an interesting approach. Which stage of your sales funnel do they belong to? Where do they go to find information about your industry? Thus, you will be able to create a bond between your brand and your target audience by showing that you understand them and their problems. It’s all about creating a brand voice that your audience can relate to. And targeting them in the places they frequent, e.g. social media or your blog etc. You should also reconsider how your target audience perceives your brand, and what they like most. Then you can emphasize those aspects of your brand’s personality, to draw them in further and encourage customer loyalty. You need to, well, stalk them. This is how you gain further insight into what they talk about. As well as the language and terminology they use so that you can emulate it. One way you can do this is via social listening i.e. monitoring social media conversations related to your keywords or industry. Let’s say, for example, you sell cloud computing software to businesses. You also get to see what kind of language they are using, e.g. calling AWS “the 2-ton gorilla in the room”. 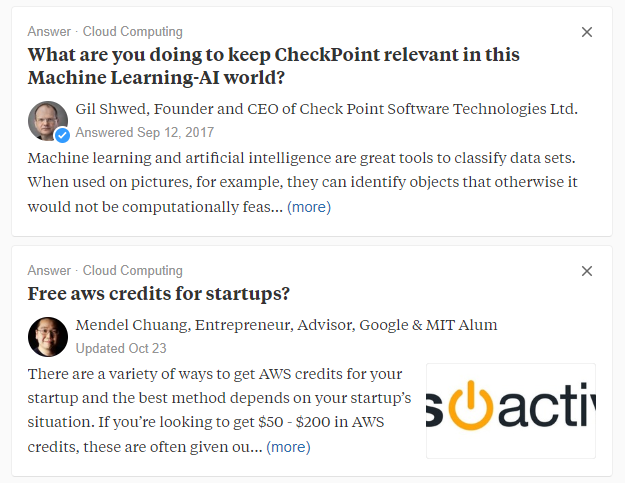 Another means of monitoring your audience’s conversation would be to search industry forums, Reddit or Quora. Quora, in particular, can help you create content that mirrors your audience’s voice. You could use these exact questions as headlines, to resonate with your audience. Social listening and browsing forums can also help you gauge the overall knowledge level of your audience. With the “cloud computing” example, the audience is clearly well-informed and accustomed to technical terms. This won’t be the case for every B2B business. For instance, if they don’t use jargon, you shouldn’t either. All in all, by resembling the voice of your audience they will relate to your brand in a big way. But, your brand must have a vision outside of making moolah. This could seriously help you establish your brand voice. You can form an emotional connection with your audience by expressing your values through your brand voice. They express their desire to save craftsmen time and money, by showing that they know, “the design of roofs and facades requires high demands”. They go on to convey their passion for quality and ergonomics by using words such as “quality” (obv. ), “specialized” and “tailor-made”. How do you want customers to perceive your brand? What impression do you want to give? Then you can come up with descriptors as to what your tone is, and equally as important, what it isn’t. Here they show exactly how their brand values relate to tone, e.g. they aim to be “helpful” but the tone mustn’t be “overbearing”. Why not give this exercise a go yourself? You’ve probably carried out competitor analysis to find industry benchmarks before. But have you ever thought to check out how your competitors are using their brand voice? And that your voice is unique. There is industry best practices you should adhere to, of course. These come from existing research and studies. It’s unlikely you will put your two cents in. The idea is to look at your competitors and industry best practices and use the information you find to create frameworks for what you should do. 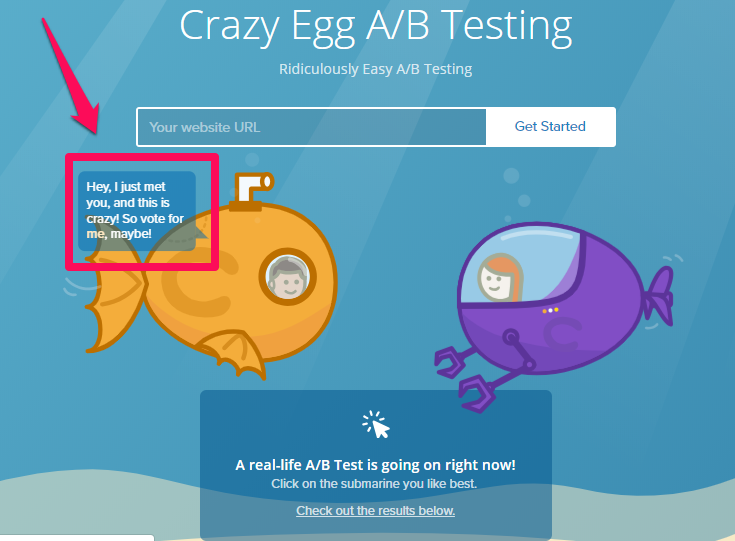 Crazy Egg uses this philosophy on their own website. Like other SaaS companies, they have a product demo. Cultural references can be controversial, but it works in this case. Essentially, you can use common practices when it comes to your brand voice. But don’t forget to be an individual. B2B topics can be as dry as attempting the cracker challenge. 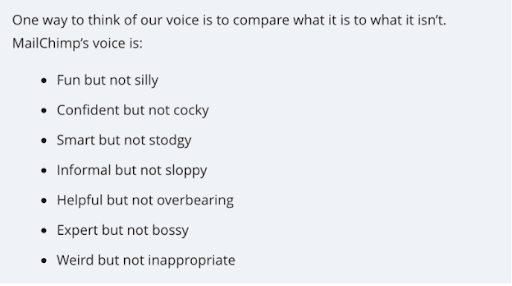 But, it’s a common misconception that you need to have a stuffy and serious voice in B2B. There would be a whole lot of dry, boring content out there if everybody kept a serious tone all of the time. Your voice needs to be compelling. Social media seems to be the easiest place to show off your witty and interesting brand voice. Where do all the abandoned carts go? 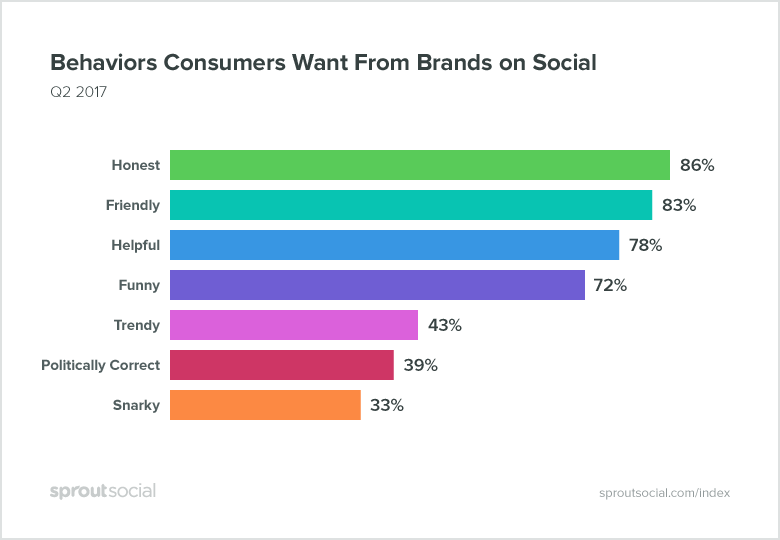 But, a fun brand voice isn’t only reserved for Twitter. You can keep it casual on any medium. 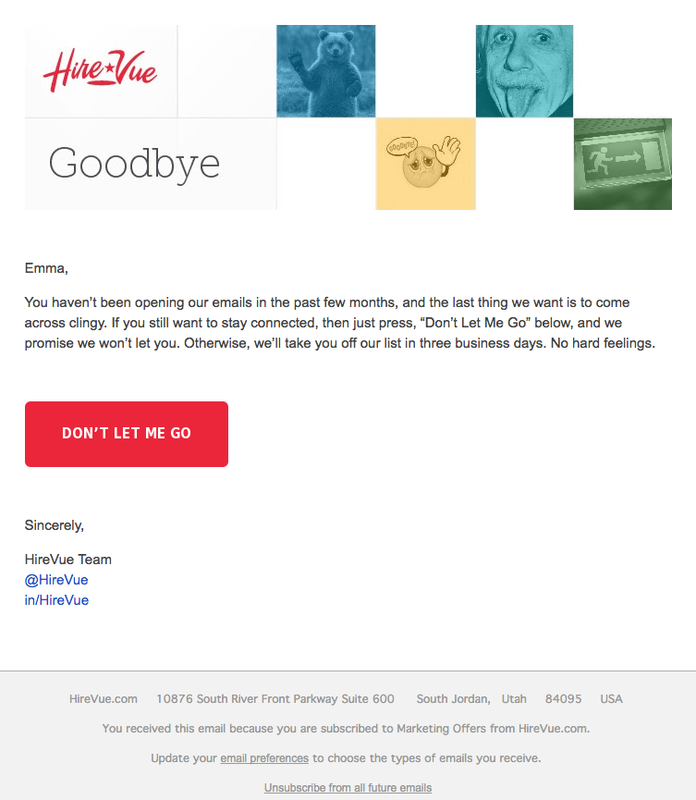 Like, HireVue, try to inject some personality into every piece of marketing material you produce. But, I know not everyone is blessed with a quirky personality or GSOH. We’d all have our own talk shows à la Ellen, if we were. Avoid being robotic by imagining that you’re talking to an actual, real-life person. Try an insider joke that your audience can relate too, as in the Shopify example. Find the right balance—being intelligent and fun are not mutually exclusive. And what they will find interesting, funny and/or the right level of casual. Create a clear guideline for all staff and freelancers to use. That way your brand voice will retain an air of consistency throughout all media. Online wholesaler, Bulk Bookstore, has a clear and consistent brand voice. It’s easy to see that their style is enthusiastic and educational. Similarly, their Facebook page is packed with fun facts and quotes delivered in the same passionate tone. 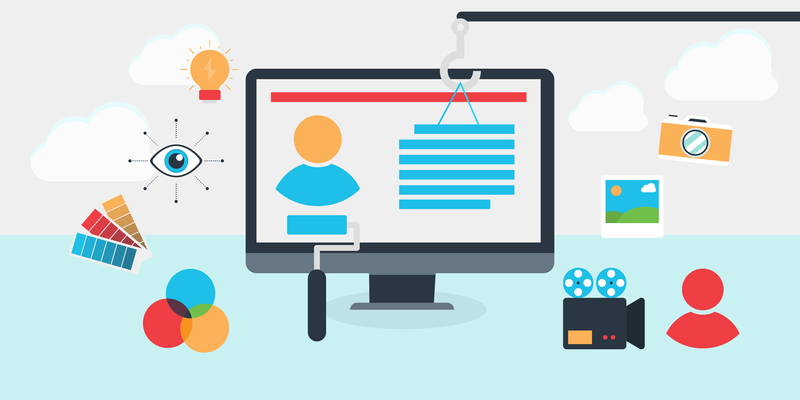 Multi-channel marketing means it’s more important than ever to have a consistent brand voice. 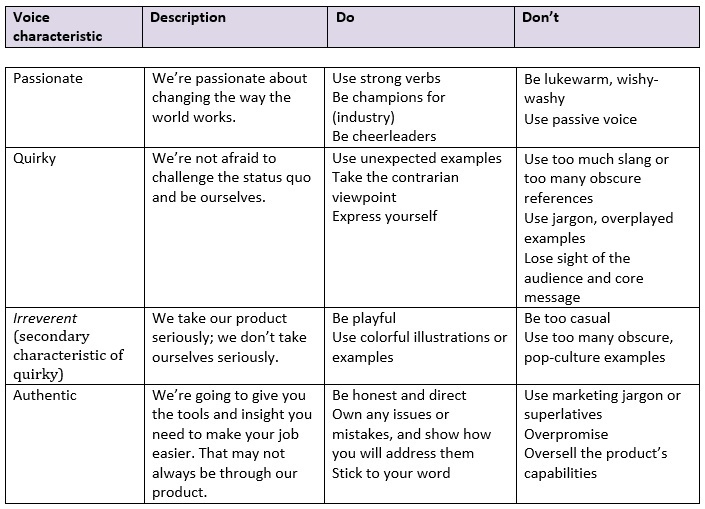 So, how do you go about creating your brand voice guideline? Start by collecting a number of samples you feel represent your brand voice. These should come from a wide range of sources: web pages, social media posts, landing pages, blogs etc. Use these samples to illustrate your guideline. You may also wish to create a chart filled with concrete advice and examples. You could build this chart in a number of creative ways. For instance, you could create a flow diagram branching out from your “Voice Characteristics”. However, your guideline may not apply in all cases. 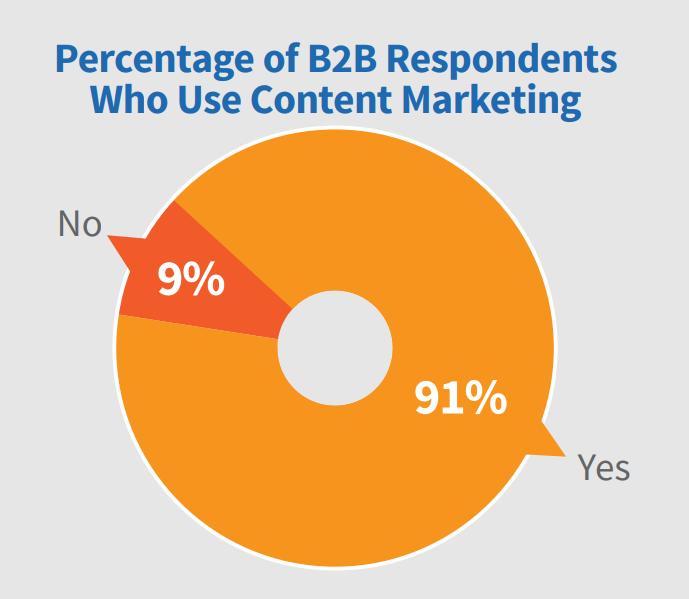 A large part of B2B content will come from individuals. This means thought leadership pieces, interviews with in-house experts, customer testimony and so on. In these instances, the individual’s voice should be accentuated. This is because they come from a real-life person and not your brand. Thought leadership pieces etc. aside, be sure to share your brand voice guidelines with anyone who produces content. And practical advice with concrete examples is the best way to guarantee that they will follow through. Your unique B2B brand voice is what will propel you ahead of the tonnes of other brands using the same buzzwords to sell the same products. So, make like a unicorn and be different. Now, it’s up to you to take the first step. How well do you know your target audience? It might be time to update those buyer personas.